Ed. Note- Spring has (sort of) sprung, and that means it's time for Central Mass lacrosse coverage here at SuiteSports. We've brought on a team of young writers to help cover the region in 2018, and we begin today with Ryan Morgera, an English and Mass Communications major at Assumption College, who also happened to be a heck of a lacrosse player during his days at Shrewsbury High School. Ryan's first piece for SuiteSports isn't too far out of his comfort zone, as he previews his old team. Don't worry, we will be sure to keep him objective and honest, but who better to preview the Colonials than one of their own? Be on the lookout for more from Ryan, and our other new contributors, as the spring progresses! In the 2017 Division 2 Central playoffs, the Colonials were defeated by Tantasqua on their home turf, in overtime, 10-9 to end their season. They finished the year 15-8, but are ready to come back stronger than ever in 2018. Led by senior captain Chris Campbell, a pre-season All-American favorite and Mid-Wach All-Star, who is committed to play Division I lacrosse at the University of Hartford, Shrewsbury will look to build on its performance from last year. Due to the lack of a turf field, the Colonials start out the season with Littleton, Tantasqua, and Westborough, all away. 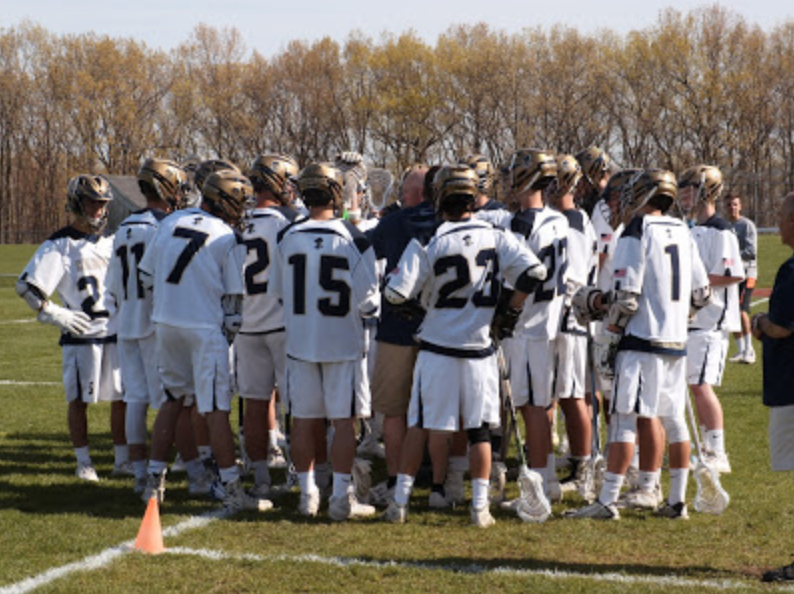 While Shrewsbury is taking a "one day at a time" approach, Coach Nate Skermont likes that his team will be challenged by good teams on the road right out of the gates, and believes the Colonials' schedule should prepare them for the postseason. 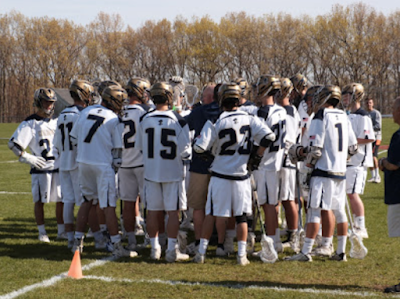 "If you look at our schedule for the season, it is very difficult, with a mix of league games and then non-league games, with teams like St. John's (Shrewsbury), Marshfield, Minnechaug, Westfield, etc," Skermont said. "However, I'd rather be battle tested going into districts than a team that isn't challenged most of the season. We are playing three turf teams out of the gate to get the games in, but in many cases that also means those teams have already been outside practicing when we have been stuck in a gym." Offensively, the Colonials lost a big-time goal scorer in Matty Ward, who is now playing Division II Lacrosse at Saint Anselm. While replacing Ward certainly won't be easy, Skermont has a few options. Alongside Campbell defensively will be senior Jack Tepper, a UMass-Lowell Commit and three-year varsity starter, senior Nick Perron, a returning starter himself, and junior Sean Vroman, who saw plenty of action and started multiple games for the Colonials in 2017. Campbell, who won SuiteSports' CMass Defensive Player of the Year Award in 2017, likes what the Colonials bring back on defense. “(We) have a great core defense, starting with [Jack] Tepper," Campbell said. "(Tepper) is a great athlete who can really handle having the ball in his stick. (Nick) Perron has an unbelievable work ethic and always does what's best for the team. He's a great defender and can also be a great vocal leader for us. And then we have Sean Vroman, who shows a lot of potential and is a great on ball defender." Look for the Colonials' defense to lead their team this year, due to the experience they have on that side of the ball. While last year's tournament loss to Tantasqua was disappointing, this year's group is quick to use it as motivation, and point to the game as a learning experience. "Typically the season only ends great for a few teams, so obviously that's not how we wanted to end last year," coach Skermont added. "However, if you look back, we started the season 2-5 and were really in a bad spot. I remember the locker room after the 5th loss, which was a drubbing by (St. John's), and there was a lot of gut checking that occurred. Then we rattled off 10 in a row and went on to win the Mid-Wach A league title. In a bizarre way, it’s never fun to get blown out, especially by a crosstown rival, but we needed that from SJ." Leadership will go a long way for the Colonials, led by captain Chris Campbell, or Soup, as they call him at Shrewsbury. "Soup is going to go down as one of the all time greats to play at SHS and will be a Hall of Famer there when the time comes," Skermont said. "Since his sophomore year he's been playing at a college level. He throws such timely takeaway checks, and then his ability to transition the ball as a long pole and be a threat on the offensive side of the field makes him a nightmare match-up. Soup makes my game planning so much easier because I know he is going to negate the other team’s best midfielder every game. Look out for the Shrewsbury Colonials this upcoming spring, as Campbell and the rest of the Shrewsbury senior class look to finish out their careers on top of Central Mass. Nice piece of writing Ryan. Let’s hope Shrewsbury can live up to their expectations.